The NHL Central Scouting Service has released its November players to watch list ahead of the 2019 NHL Entry Draft. 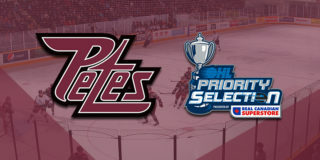 Three Petes players, including Erik Čermák, Hunter Jones, and Nick Robertson, were named to the list. 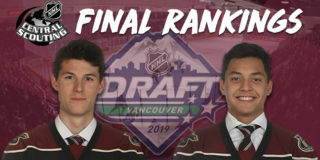 Robertson, a 5’8”, 156lbs centre, maintained a ‘B’ rating on the players to watch list from October’s preliminary rankings, suggesting that he could be a possible second- or third-round choice in the NHL Entry Draft. Robertson has registered 2 goals and 2 assists for 4 points in 10 games this season. Jones, a 6’4, 194lbs goalie, was upgraded to a ‘B’ rating after being rated a ‘C’ skater in October’s rankings. He has a 12-10-0-0 record, accumulating a 2.88 goals against average and 0.917 save percentage. 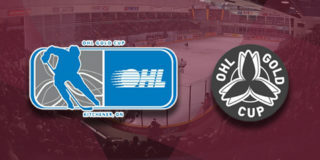 Jones leads OHL netminders in games played (22), minutes (1186), shots against (690), and saves (633). Čermák, a 5’11”, 154lbs left winger, maintained a ‘C’ rating on the players to watch list, which indicates that he is a potential fourth to sixth round selection. 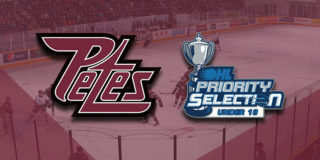 Catch these players to watch and the rest of the Petes in action this Thursday, November 22 at 7:05pm when they host the Kingston Frontenacs. Tickets are available through the PMC Collins Barrow Box Office in person and over the phone Monday to Friday from 9:30am to 5:00pm, and 24 hours a day online.